Achieving the 2030 target economically implies dramatic reduction in the reliance on the most expensive and polluting heating fuels: fuel oil, propane, and kerosene. This entails a rapid transition from these fuels to heat electrification, reaching 28% electrification of residential space heat by 2030 through a mix of air- and ground-source heat pumps (see Table 1). By 2030, roughly 3.85 million homes are envisioned to be utilizing heat pumps, requiring an average annual rate of conversion of almost 300,000 homes and businesses. Today, adoption rates are more than 10 times lower, around 25,000 per year. Oil-to-gas conversions, which achieve GHG reductions of over 27% per home, will also need to accelerate over the period, bolstered by investment in growing the regional supply of renewable natural gas. In contrast with warmer climates like California, heating contributes more to regional GHG emissions, and also occupies a large share of Northeast customers’ total energy expenses. Accordingly, the Northeast heating transition requires scaling up energy efficiency investment, with a concerted focus on tightly insulating residential and commercial buildings. 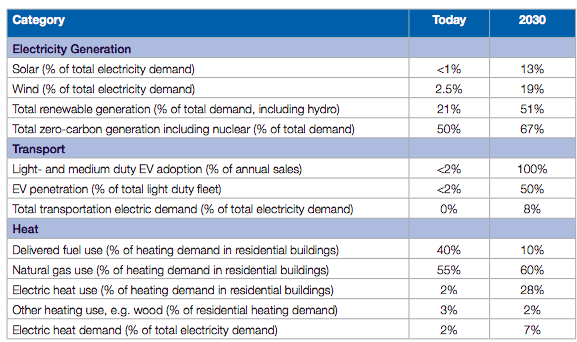 Table 1 summarizes the renewable electricity, transportation, and heating transitions envisioned in the Pathway.